Imagine if that were true! Would be the best thing ever! Imagine Ham’s face!!! I tough it was obvious :))) it's quite clear that it's impossible to tell at this stage, and with such accuracy, which car is faster and by what margin. Based on what? No one knows fuel loads, setups etc. It's all speculation. So far we can be happy that the tests have been good and laps were smooth. Seb has done loads of aero tests with different sensors today so it was not much about lap times but rather checking how everything reacts to changes in setup, motor reliability, suspension and tyre combination etc. The fact he didn't even bother using DRS is quite an indication. For sure the mood is high in the Ferrari box and that's a big plus. Melbourne we'll see guys now it's just testing. And Toto is baggin' sand AGAIN! This would be great if it is true. I simply cannot believe at this! why is it NOT good to have a faster car then the simulator prediction?? Not really, simulator can't simulate reality....many things that work on sim don't work on the race track. Anyone able to copy and paste this article? I agree. It is partly based on the fact that many people treat qualifying speed as the only barometer. 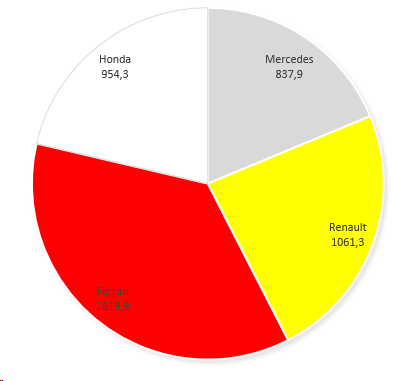 For most of the season, Ferrari had better engine than Mercedes which gave them extra couple of tenths in qualifying which disappeared in the race. It was an inversion of 2017. Bottas ran Vettel close in Bahrain and China, there is no way Ferrari was faster in the race, they were evenly-matched. Actually it was Mercedes enjoying greater advantages in Australia, Spain, France or Austria. 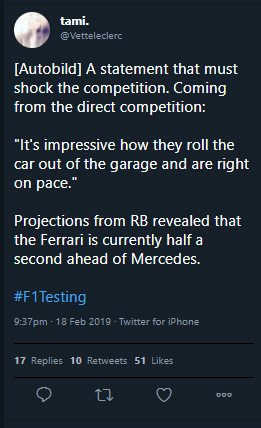 Rain also exposed Ferrari's weakness but we know British media want to show Hamilton as the underdog rather than German carmaker as superior one. It got to the point where the Singapore narrative was that Vettel had quicker car but Hamilton was 1s faster because he drove a mega lap. Notwithstanding the fact, he also pulled away from the German in the race with relative ease. Monza was a second game-changer after Germany, not only Hamilton won while Vettel faltered but Mercedes improved on the engine side and was a match on race pace (and very close in qualifying). In 2017 Vettel was doing better job than Hamilton until Asian fly-aways. We should remember that Hamilton lost Bahrain due to his mistakes (forgot to activate DRS in qualifying then blocked Ricciardo in pit-lane) and underperformed in Russia, Monaco, Austria and Hungary. They were evenly matched with Bottas, while Vettel was also on top of his game, the only mistake being Baku brain fade. He recovered brillianly in China and Canada, showed a masterclass in Bahrain and unstoppable pace in Monaco. I'm sick of this myth that the Ferrari was "the best" car or even "on par" with the Merc. 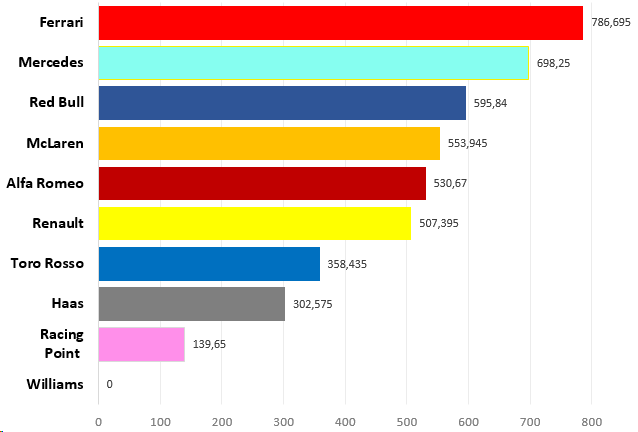 It's been documented, here on this forum, and elsewhere, that Seb was statistically the best qualifier last year, when it came to getting the fastest possible lap during qualifying by stringing together the 3 fastest sectors of the weekend into one lap. (Leclerc was actually the worst). So given that, look how many poles the Ferrari got last season. How many times did it just dominate a weekend? Do you know how much easier it is to win a race from pole. Especially if you're Seb? You have clean air, AND you don't have to worry about Crashtappen crashing into you. Give me a break. It was close, but not near to on par. Give me some qualy performance and wet weather performance this year and we'll have a championship battle on our hands. Don't want to get any hopes up but it's always a good sign if Seb seemed very happy with the testing this early on. Really excited to see Charles on the track and see what he can produce, think he's going to be a dark horse this season tbh. Yes we are quickest again, like many times last year and the year before too. But im more looking at drivers reaction. I remember seb saying during testing they still have work to do, even says it after his win in Australia. So it’s positive what he is saying after yesterday’s test. Good signs. Hey mate, I offered some thoughts on this earlier in this thread. But I thought that I'd place some more detail here, on what I've seen work well in the useful links thread. It's a more permanent solution - as opposed to the "link-hunt" and "killed-link" problems.